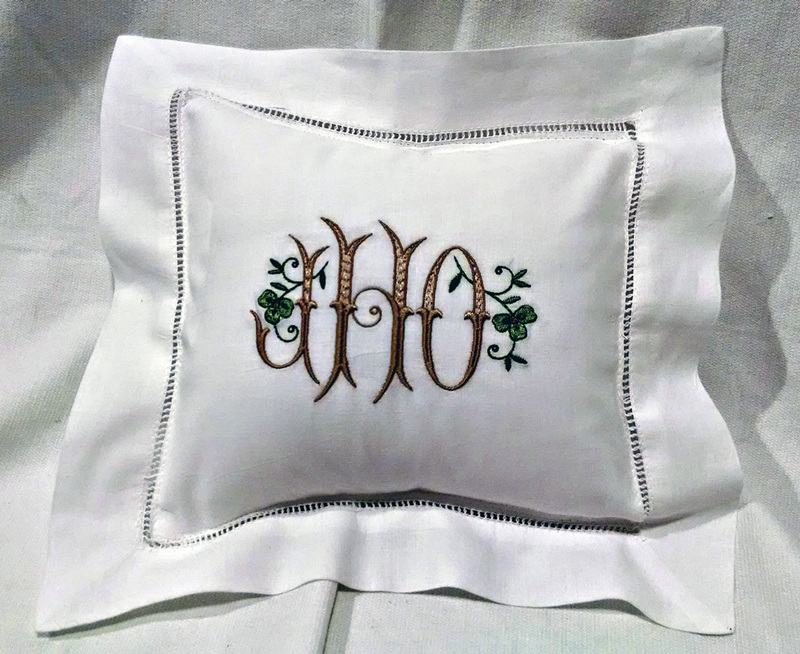 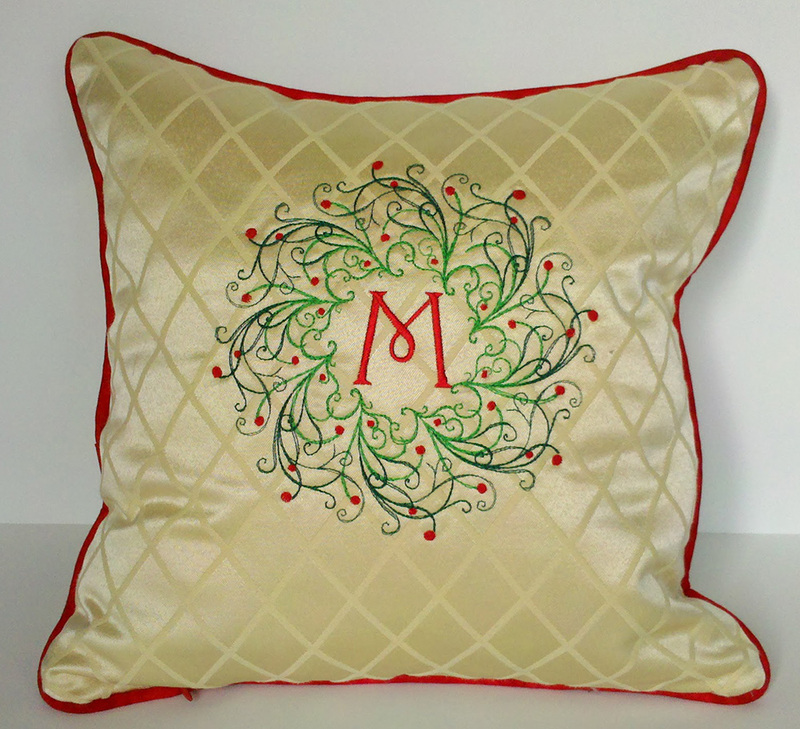 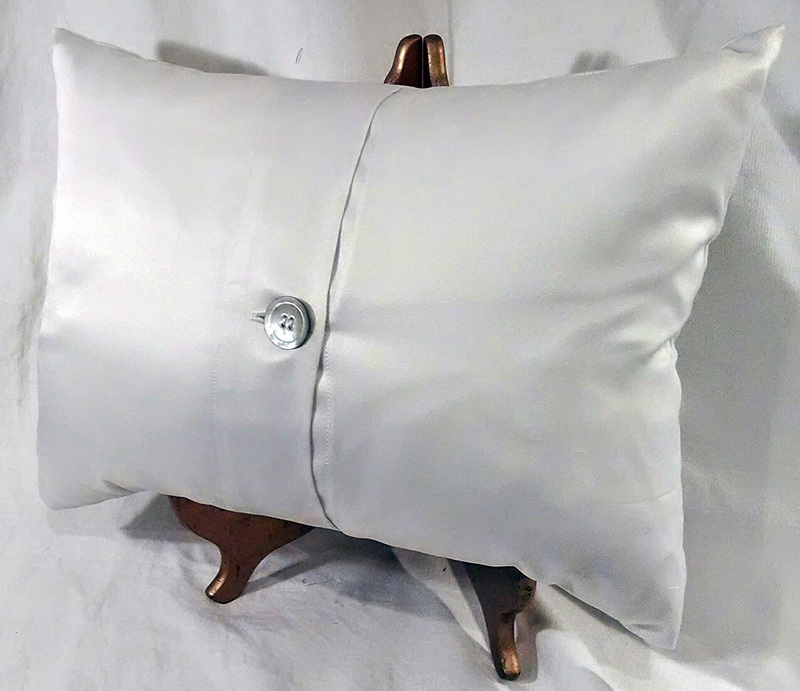 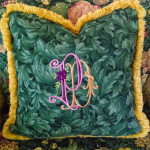 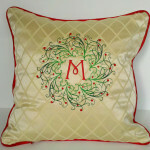 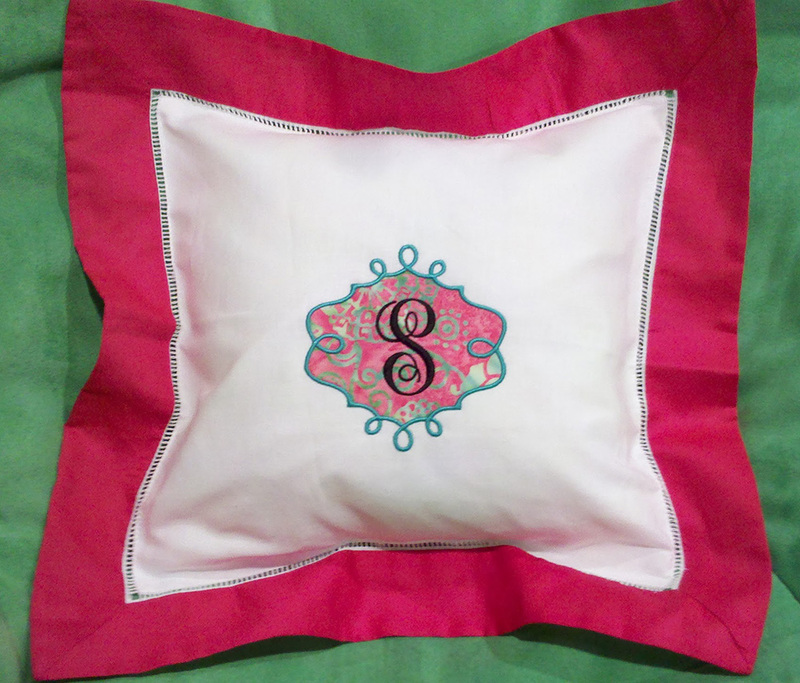 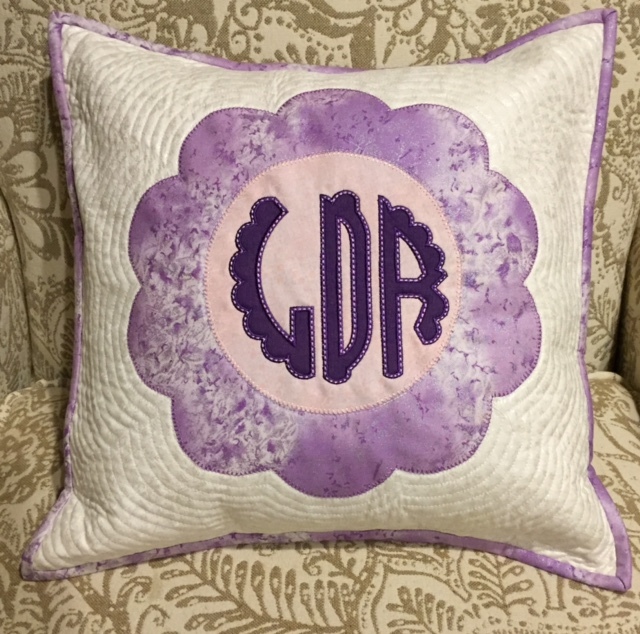 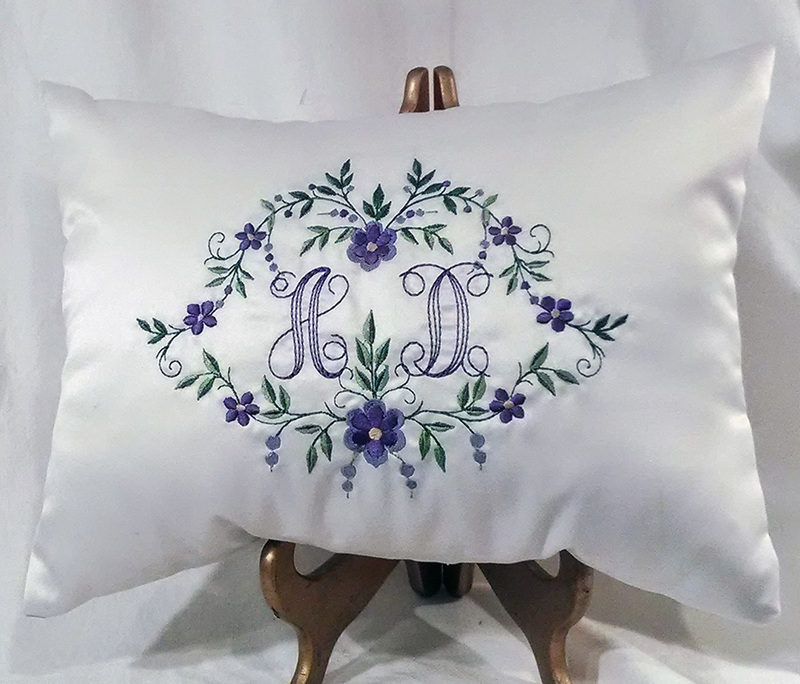 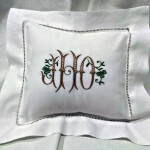 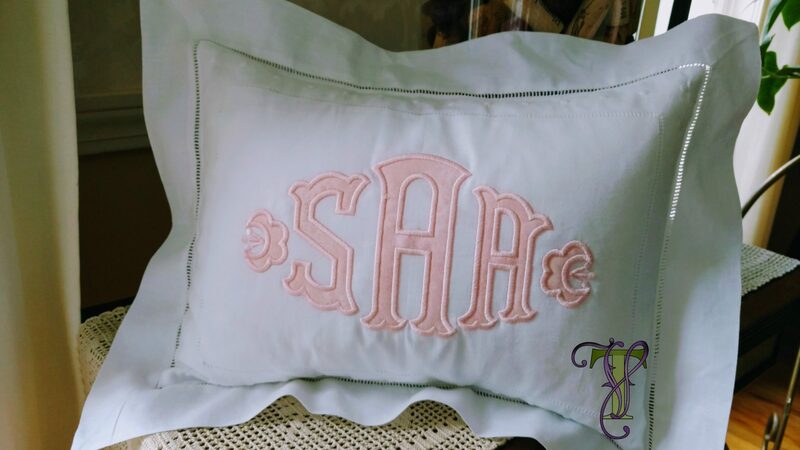 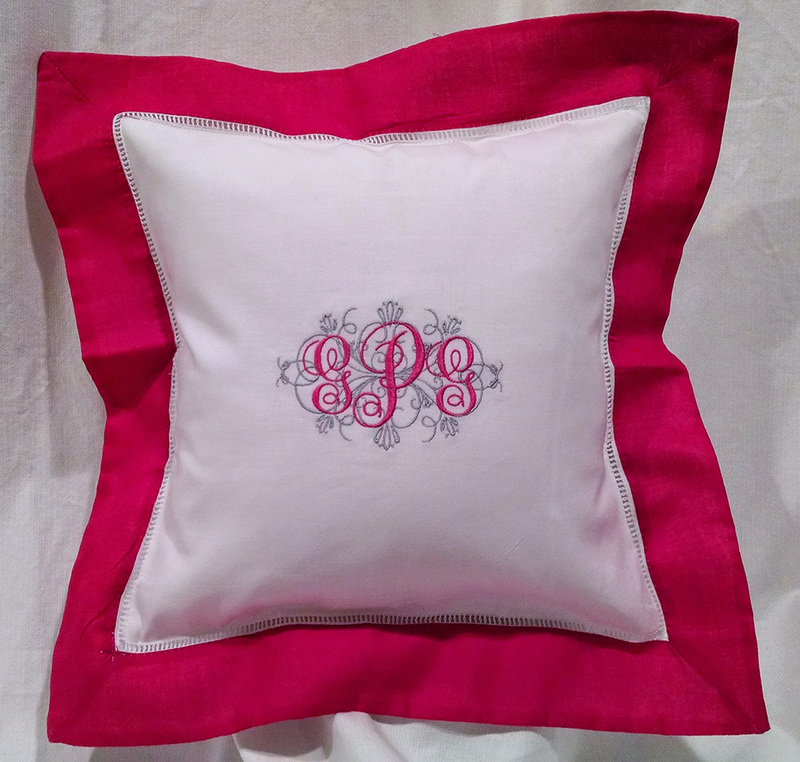 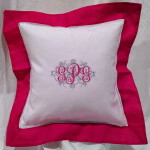 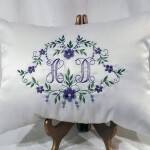 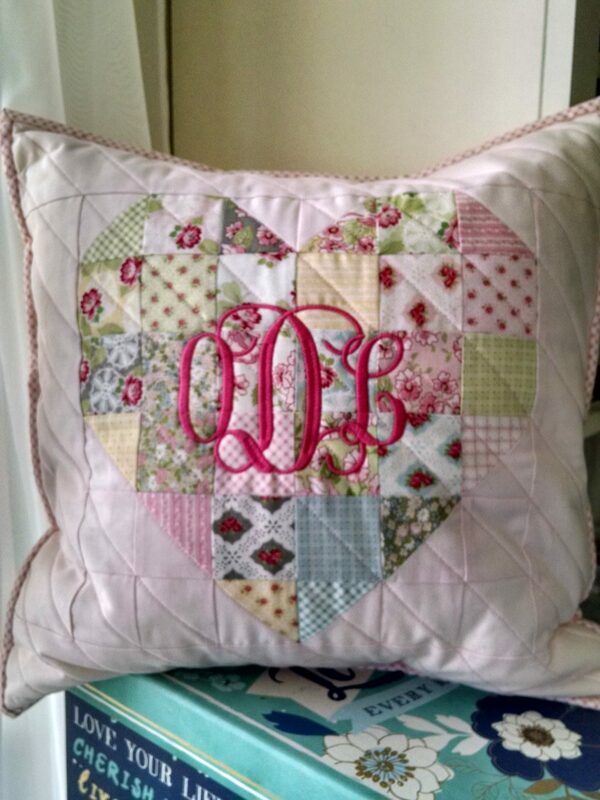 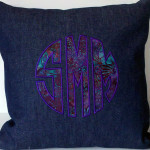 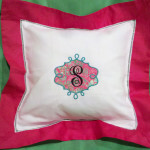 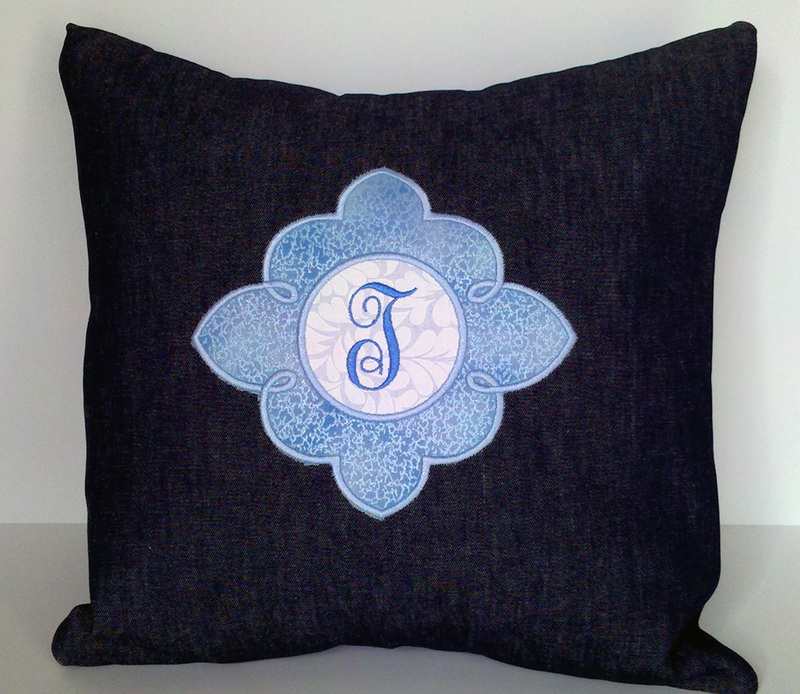 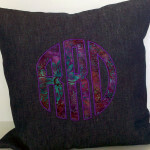 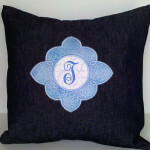 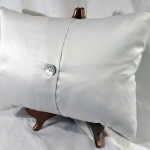 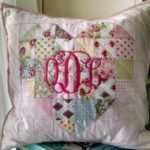 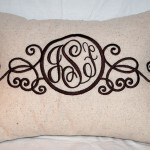 Vineyard Thimble is your source for beautiful monogrammed pillows. 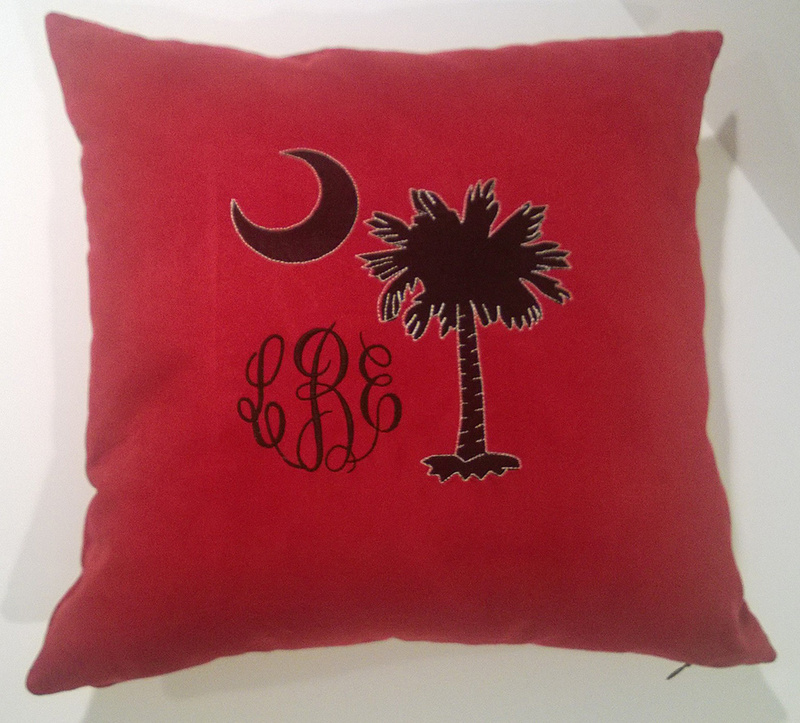 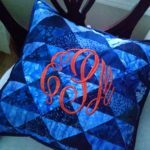 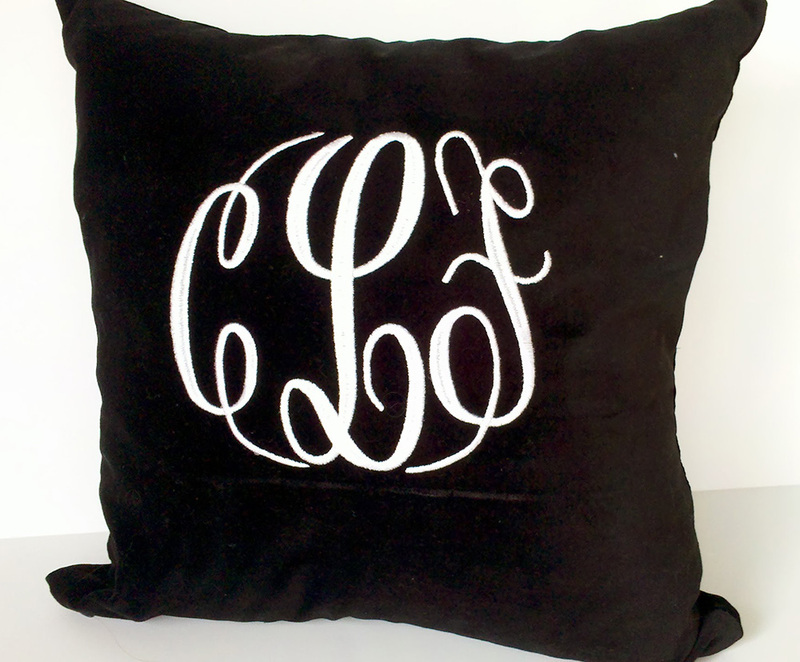 Choose from our stylish options and design your custom monogrammed pillow. 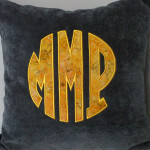 We will personally work with you to design a wonderfully special piece custom made to your tastes and decor. 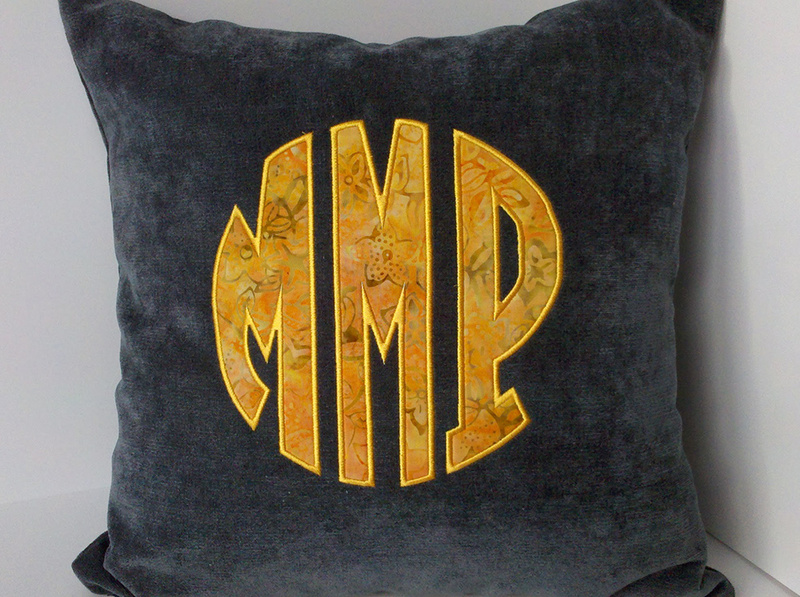 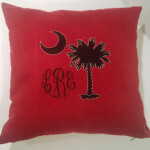 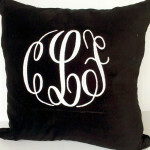 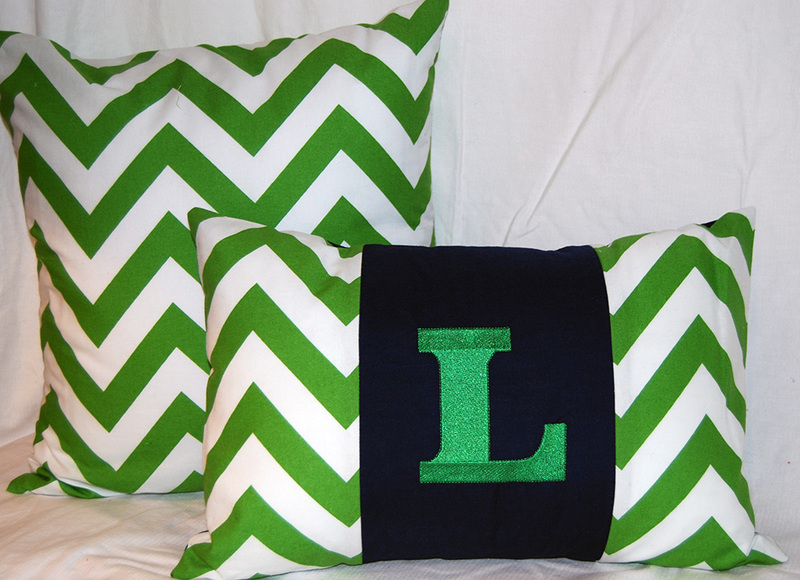 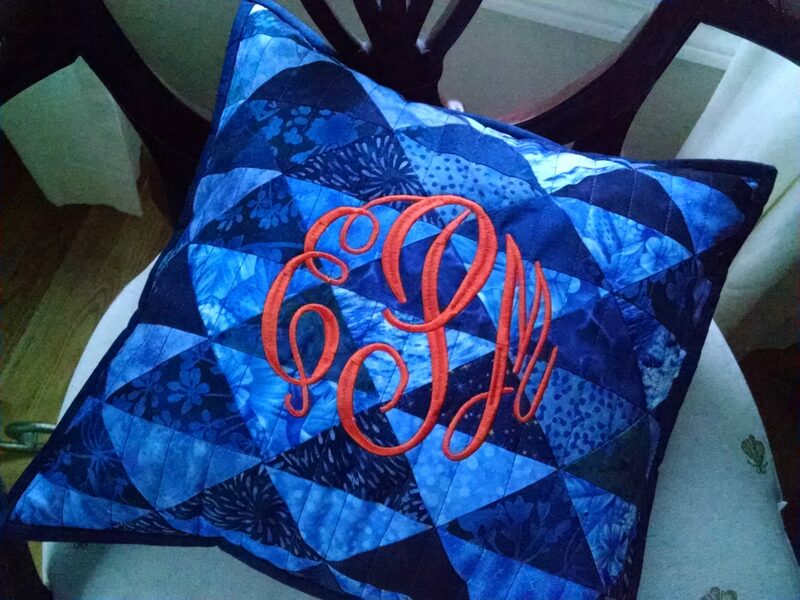 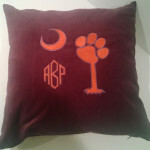 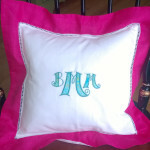 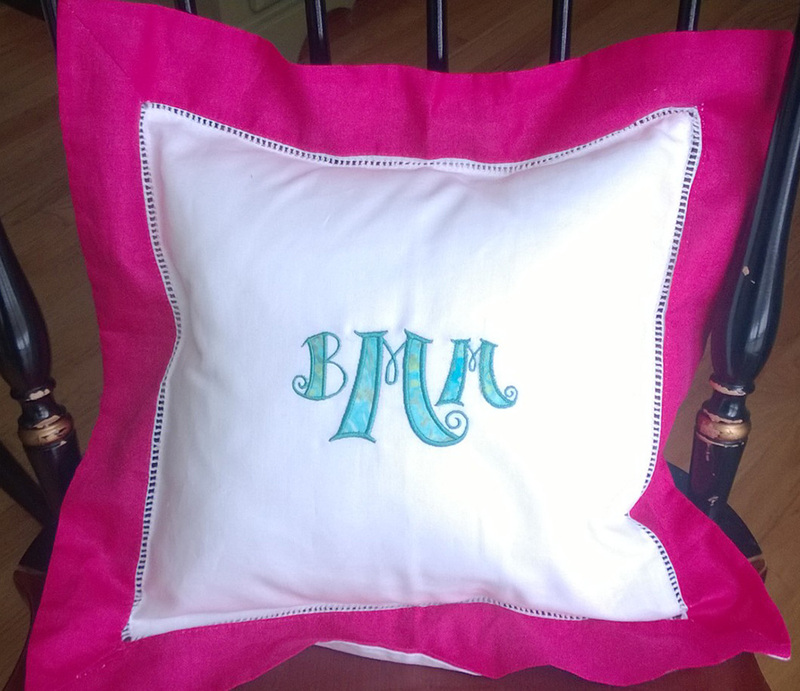 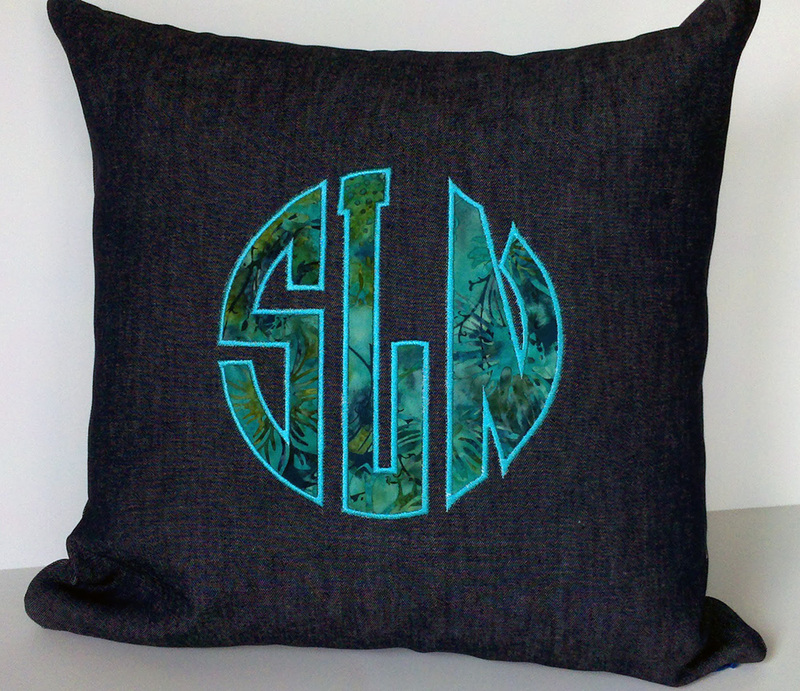 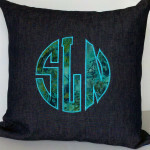 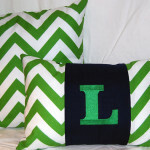 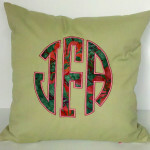 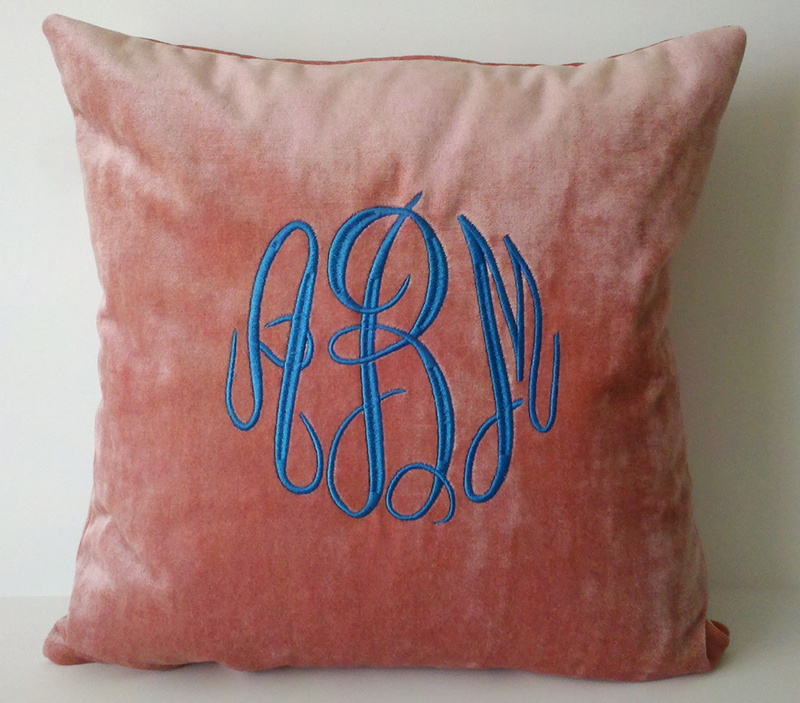 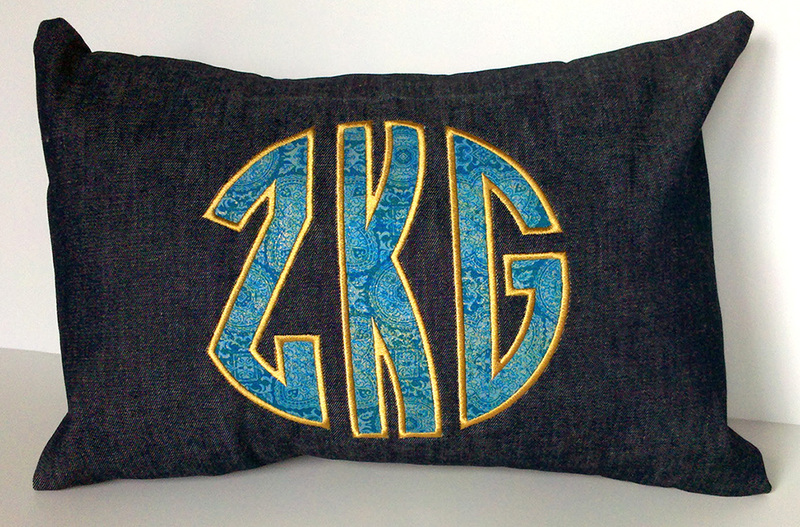 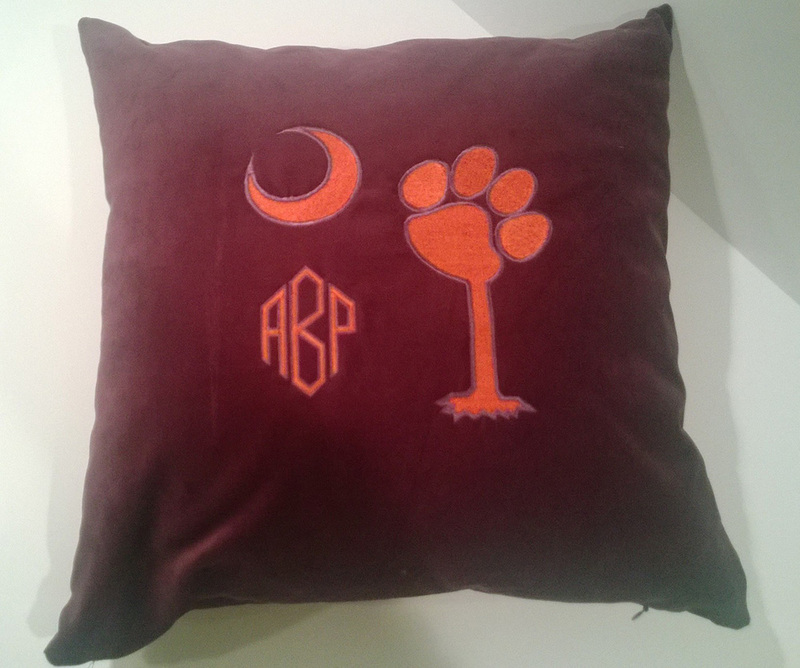 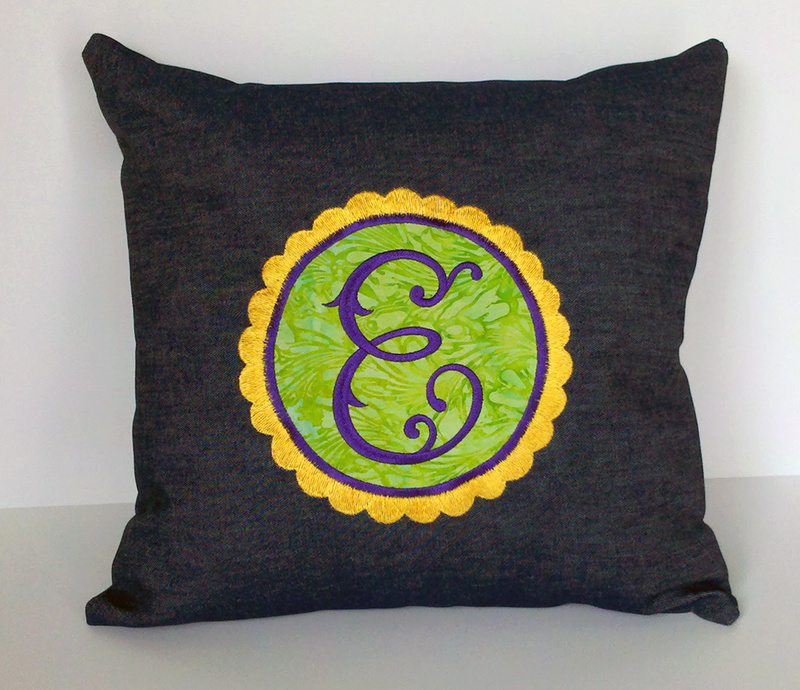 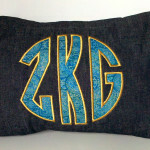 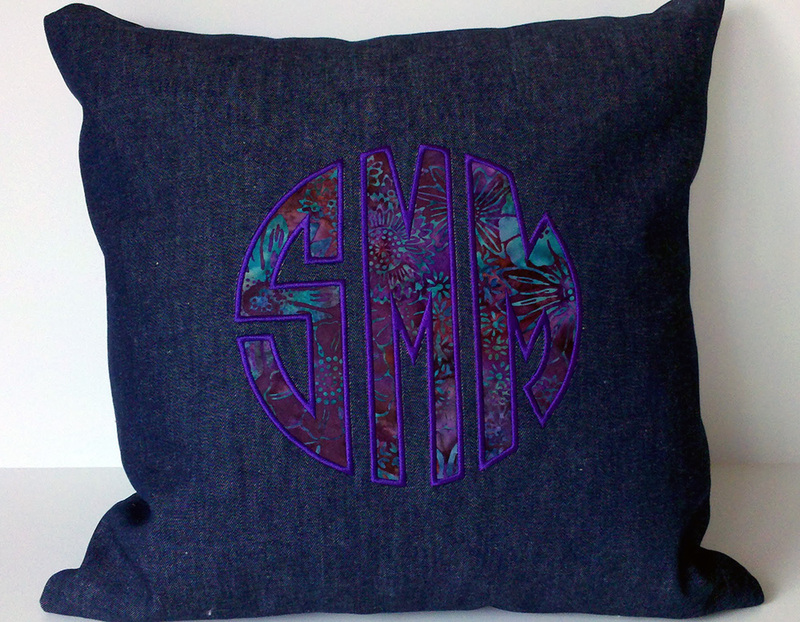 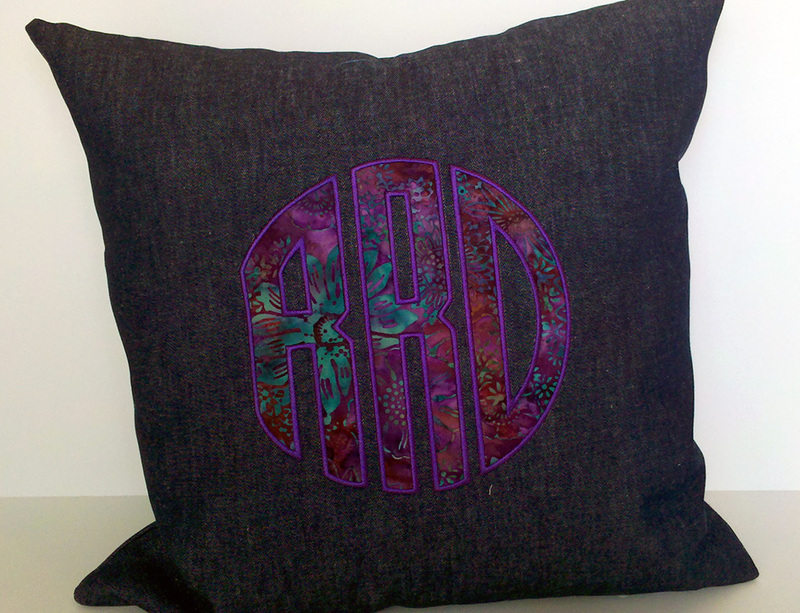 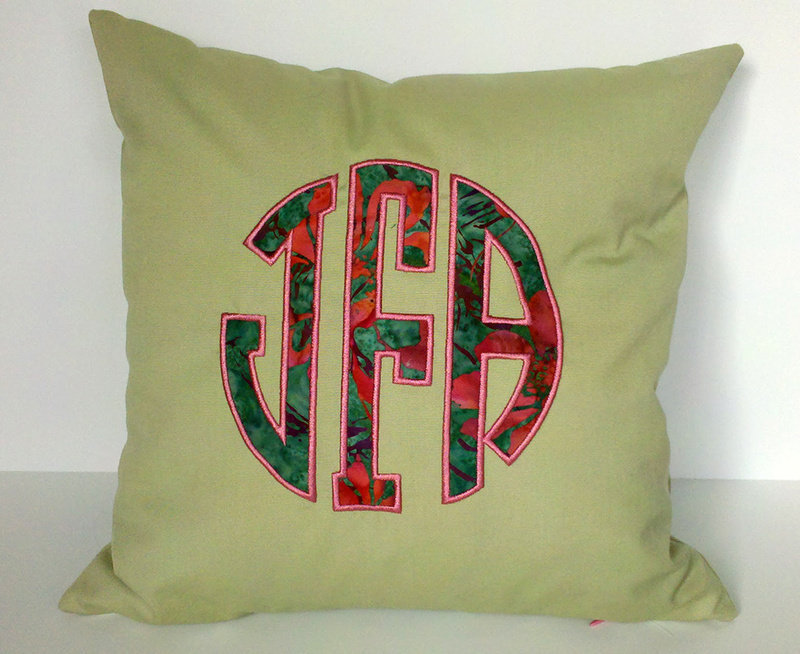 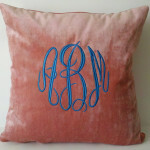 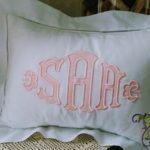 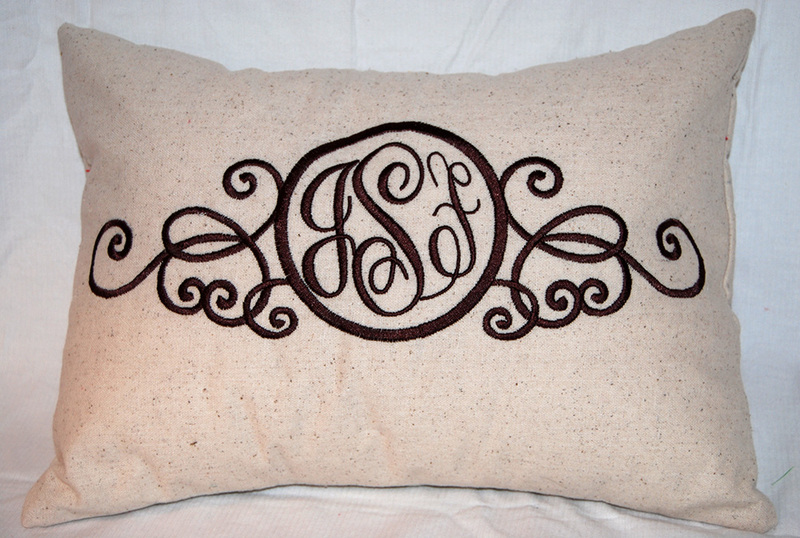 Take your throw pillow to the next level by adding your monogram. 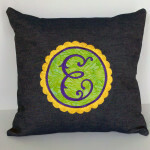 Toss pillows are a great way to add color and pattern to your home. 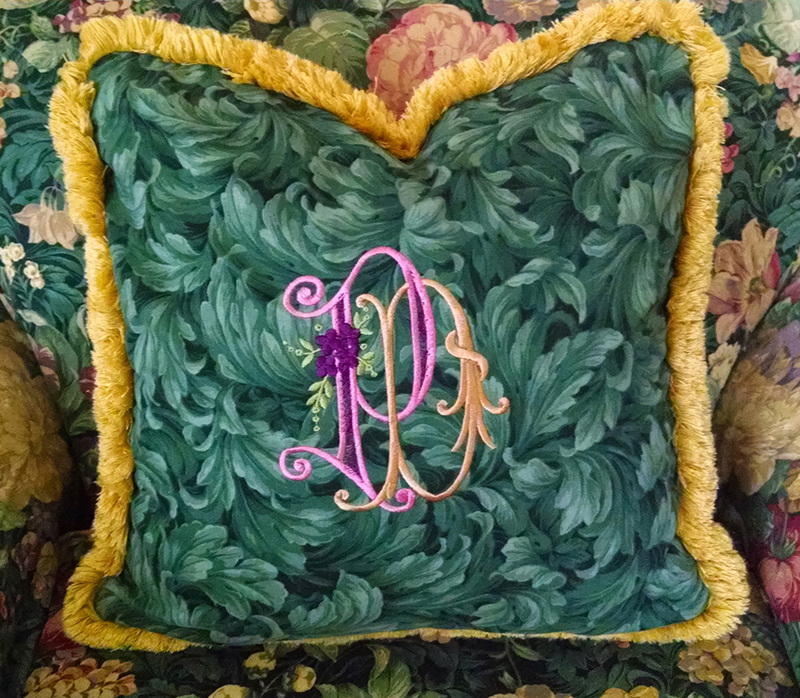 A decorative pillow is wonderful for enhancing your interior design and home decor. 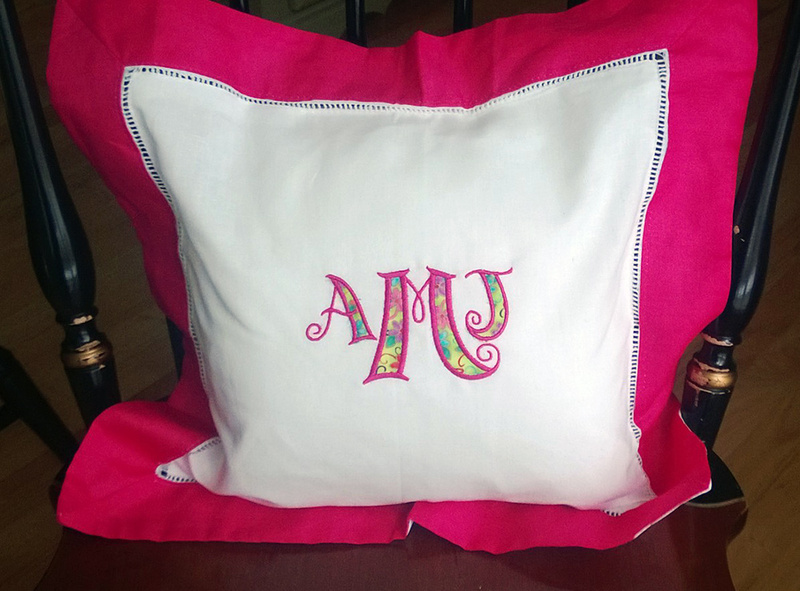 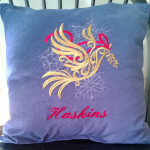 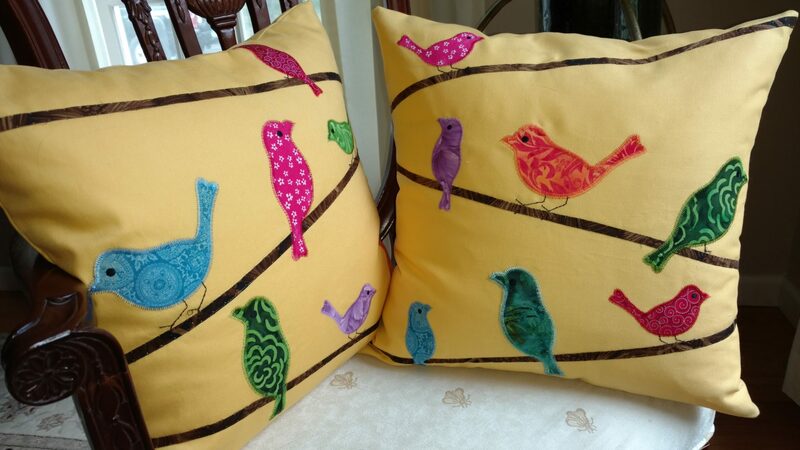 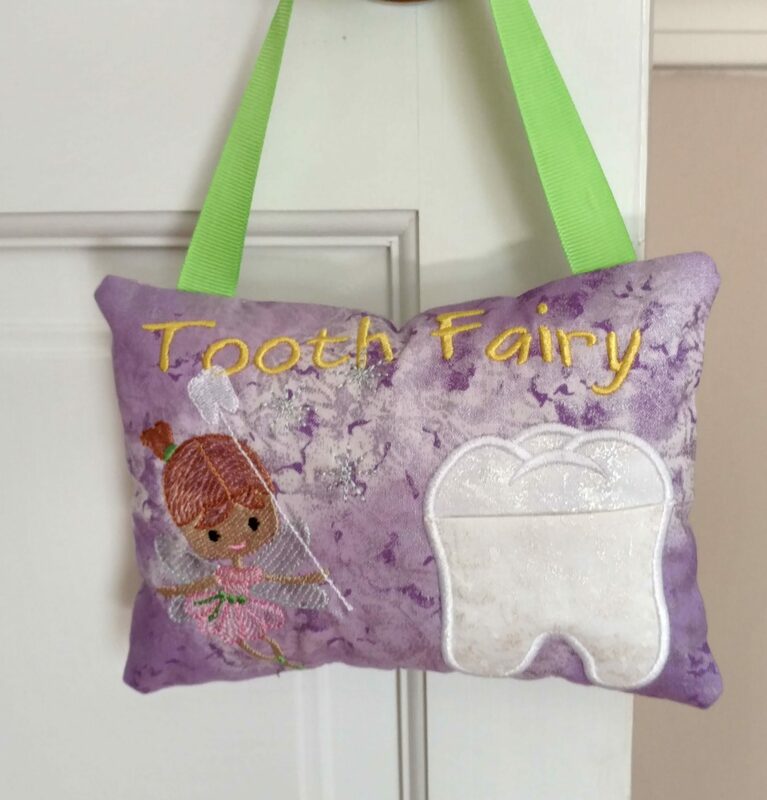 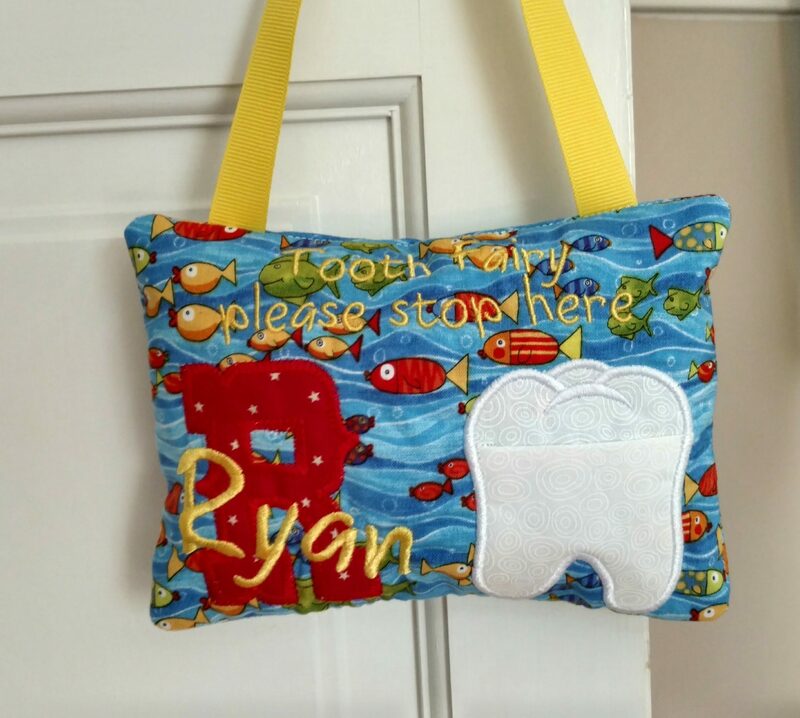 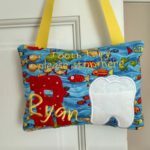 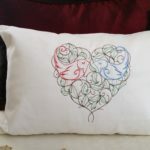 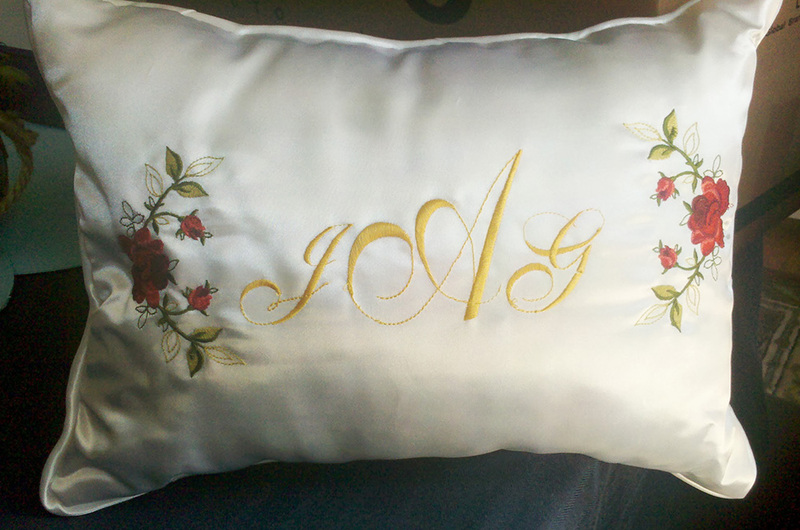 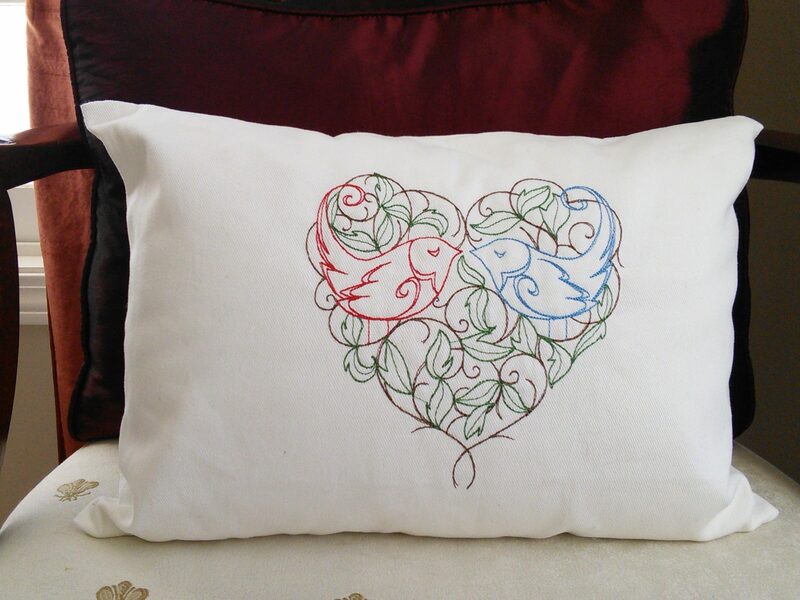 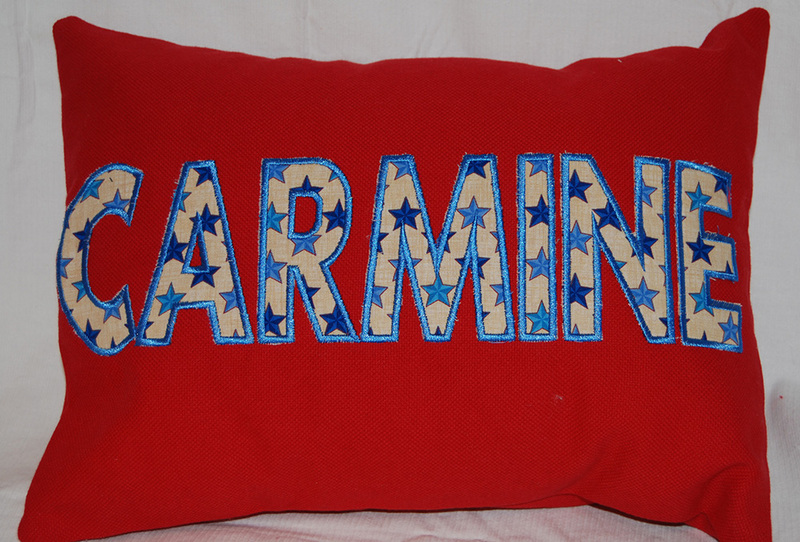 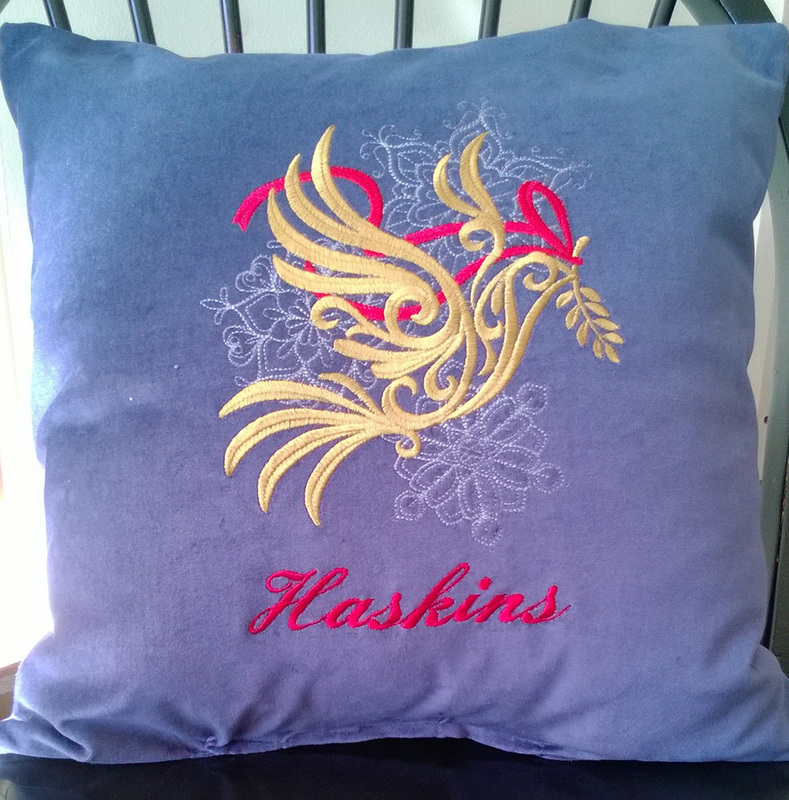 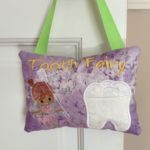 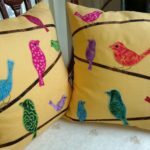 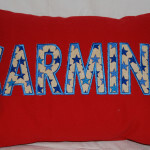 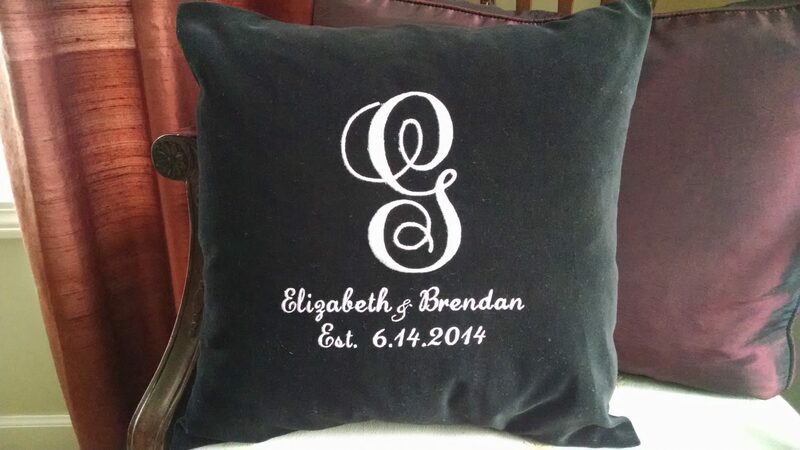 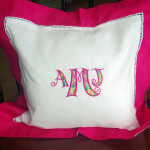 Custom embroidered pillows make make wonderful personalized gifts. Accent pillows with custom embroidery, monograms, and/or appliques are the kind of the kind of gifts that really make an impact. 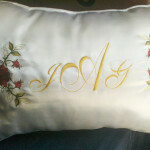 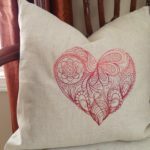 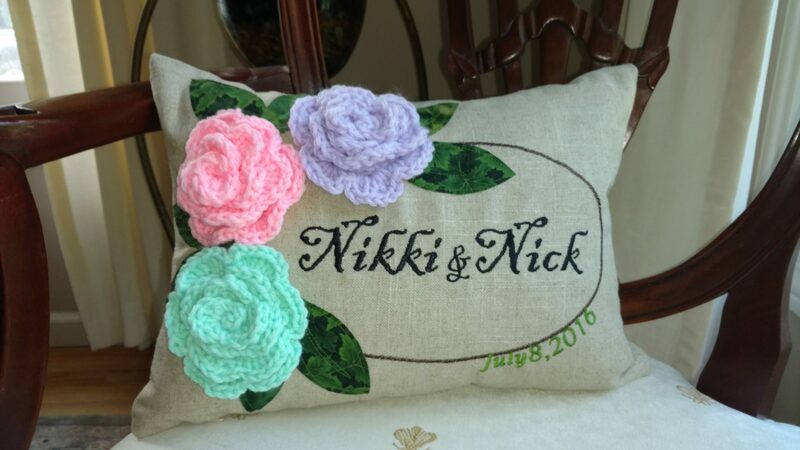 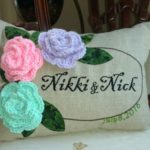 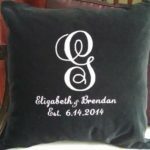 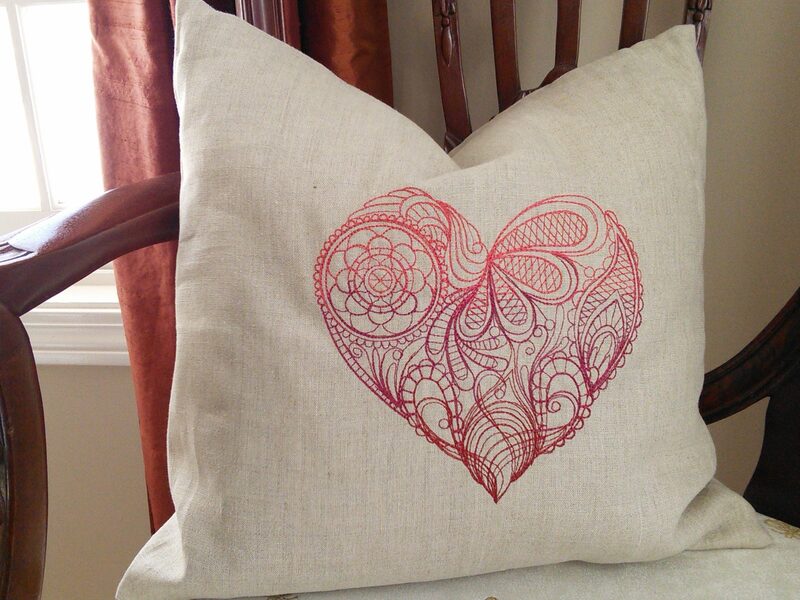 So consider a custom pillow for a wedding shower, baby shower, or house warming gift.